The Studio is located next to the all weather sports pitches at the back of Hayesbrook School. There is on-site parking at the school. 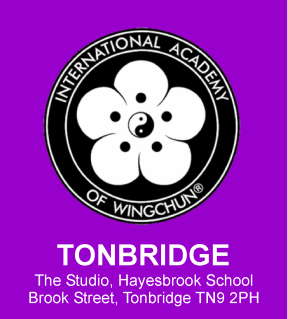 We train in Tonbridge on a Thursday evening, providing a friendly environment where you can learn to defend yourself, build self esteem and grow in strength and confidence. Sihing Colin Dawes has been training WingChun under Grandmaster Klaus Brand for nine years and recently attained the 2nd Technician level. Sihing Mark Darby has been training WingChun under Grandmaster Klaus Brand for eight years and is a 1st Technician. 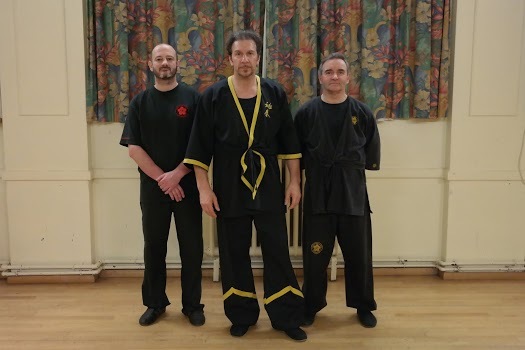 Mark has also taught as the Assistant Instructor at the Bromley Academy for the last 5 years. WingChun has a student grading system that enables students who train regularly to progress in a systematic and logical way with each student level developing and building on what the student has previously learned. All student gradings are personally taken by Grandmaster Klaus Brand and students have three opportunities a year to grade (in February, July and November). Training fees £35.00 Per Month. You will also need an annual Licence which is £35.00 a year.